The SA-BM (bench mounted) Scroll Bender will form a variety of scroll sizes out of up to 3/16” by 1” hot rolled mild steel flat. It will also form scrolls out of ¼” round and square stock. This unit will work independently of the UB-5H and the UF-25H. This allows it to be used as a separate work station, leaving the UB-5H and UF-25H free for making other bends. 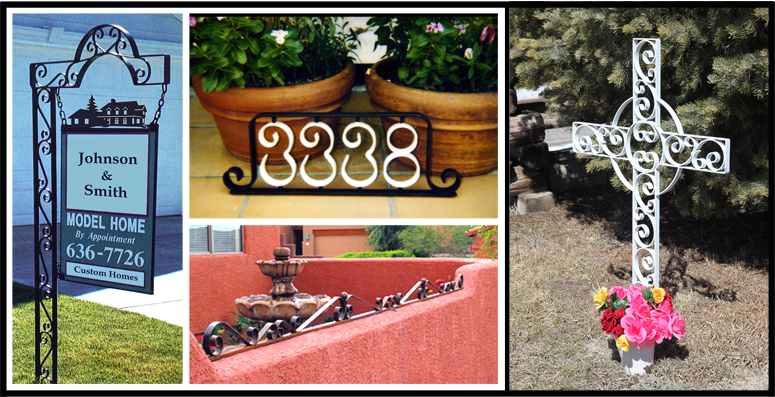 A lot of nice ornamental projects can be made with this scroll bender by the beginner. If you’re just starting out, a nice combination to own is this bench mounted scroll bender along with the ornamental drawing program available from (www.ornamentalpro.com). 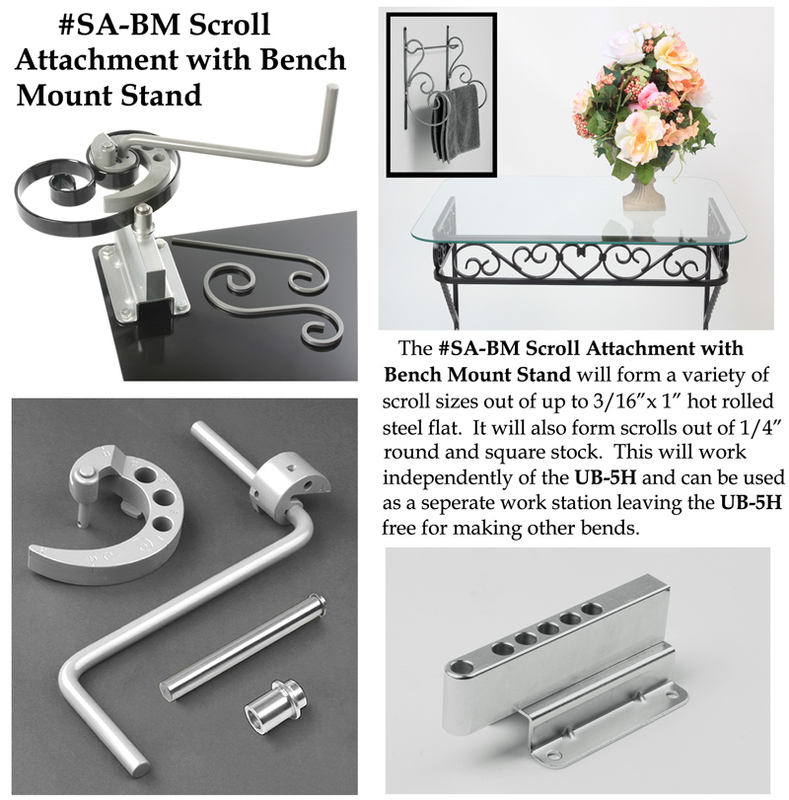 This unit is made up of a SA Scroll Attachment and a bench mount stand. The SA Scroll attachment can be purchased without the bender mount stand and used on both the UF-25H and the UB-5H.